Click on photo to enlarge and see detail, click "back-button" to return to blog. 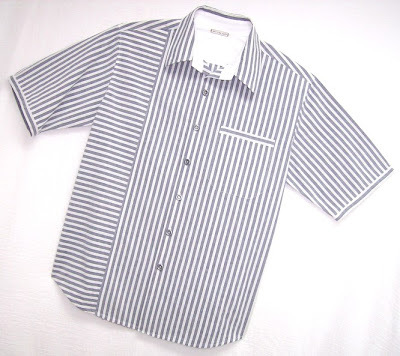 This shirt with banded sleeves, banded pocket, and "Cross-Stripe" details was commissioned by a client of mine. 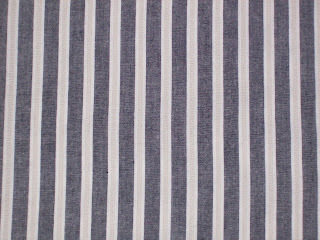 I sent a swatch of the fabric, an unusual mid-weight cotton, with an interesting textured stripe. As soon as he saw it, he called and asked me to design a shirt that showed-off this beautiful fabric. In addition to the stripe details, this shirt has an interesting neckline that is a bit wider than usual, with a subtle "U" shape, rather than the usual round neckline curve. When worn, the collar sits slightly away from the neck, making it very comfortable in hot weather. 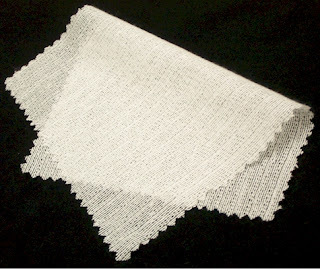 Pro-Weft interfacing was used to form and maintain the collar's soft shape and roll. I get so excited when a new shipment of shirting fabrics arrives! 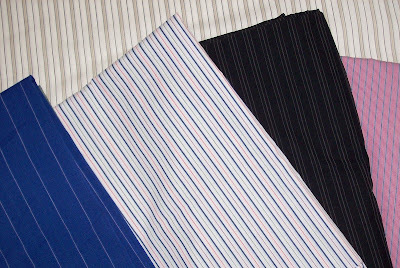 The photo shows a few of the many shirt fabrics recently acquired from a few different vendors. GORGEOUS THINGS , located in Massachusetts, is a wonderful place to find many high quality fashion fabrics at great prices , including many absolutely luscious shirtings! The Philips Boyne Corporation , located in NY, specializes in selling fine shirting fabric. Check the website for their minimums, billing and shipping information. HWA Seng Textile is located in Singapore and sells some of the finest shirt fabrics available anywhere in the world! ~Fashion Sewing Supply~ is the place to find Premium Quality Interfacing, designer shirt buttons, and more.